Dr. Francis S. Collins, M.D., Ph.D.
First, I want to thank you for taking the time to meet with me and other representatives from the Children’s Health Defense on May 31st. I very much appreciate your efforts to pull together the meeting and your willingness to hear our concerns regarding vaccine safety. My primary reason for writing is to address your staff’s proposal for a longitudinal study to identify environmental toxins (including those in vaccines) that may be causing the childhood chronic disease epidemic. During our May 31st meeting, you and your staff suggested such a study as an alternative to our request that you open the Vaccine Safety Datalink (VSD) to independent scientists and to Verily, Google’s medical research division, for machine analysis. At your prodding, Dr. Linda Birnbaum from NIEHS and Dr. Diana Bianchi, Director of the Eunice Kennedy Shriver NICHD proposed the alternative research project. Doctors Birnbaum and Bianchi contemplated a longitudinal prospective study that would follow mothers throughout their pregnancies and their infants in early life in an effort to identify risk factors that might result in adverse health outcomes, namely, the chronic disorders and neurodevelopmental disorders, including autism, now epidemic in nearly half of America’s children. We believe that such a study is a worthwhile endeavor. However, as we pointed out during the meeting, we are concerned that the initiative would require years to enroll mothers and collect the necessary data for analysis before reporting any findings. That relaxed time table does nothing to address the immediate health crisis. The CDC acknowledges that an astonishing one in six American children now suffers from a neurodevelopmental disorder while an HHS funded study showed that 43% have a chronic disease, including allergy, diabetes and seizures. These outbreaks – including the explosion of deadly food allergies that my own children suffer – suddenly became epidemic, coterminous with the dramatic expansion of the vaccine schedule. A study that will take at least a decade to provide answers does not seem like an acceptable solution. The NIH launched The Childhood Autism Risks from Genetics and Environment (CHARGE ) in 2003 to address a wide spectrum of chemical and biologic exposures and susceptibility factors, to assess environmental causes for autism, mental retardation and developmental delay. The NIH touted CHARGE as the first ever major epidemiological case-control investigation to identify the culprits behind these disorders. The study, of up to 2,000 California children included detailed developmental assessments, medical information, questionnaire data, and collection of biologic specimens. Over 1,000 families were enrolled when the NIH discontinued funding for CHARGE in 2011. CHARGE researchers have published investigations into about 25 risk factors for autism but none of these studies has led to conclusive evidence or recommendations. CHARGE has omitted any studies of vaccines. MARBLES (Markers of Autism Risk in Babies) was an extension of the CHARGE study launched in 2006. The NIH provided a $7.5 million grant to fund this longitudinal study of pregnant women who had a biological child with autism spectrum disorder. As with your present proposal, the NIH announced that it meant to investigate pre-natal and post-partum biological and environmental exposures and risk factors that might contribute to the development of autism. MARBLES followed mothers before, during, and after their pregnancies, obtaining information about the pre-natal and post-natal environmental exposures. NIH researchers collected information about each participant’s genetics and environment through blood, urine, hair, saliva, and breast milk, as well as home dust samples to obtain a comprehensive picture of the environment surrounding each pregnancy. The NIH also obtained information through interviews, questionnaires, and by accessing medical records. The study enrolled 450 mother-child pairs and then ended, without any noteworthy accomplishment, in 2011. The only published papers from MARBLES, 6 years after funding was discontinued, are two placental studies and an overview of the project. U.C. Davis has archived the specimens collected in both the CHARGE and MARBLES studies. The NIH initiated the Early Autism Risk Longitudinal Investigation (EARLI) study with a $14 million Autism Centers of Excellence grant awarded by the National Institute of Environmental Health Sciences, the National Institute of Mental Health, the Eunice Kennedy Shriver National Institute of Child Health and Human Development, and the National Institute of Neurological Disorders and Stroke in 2008. An additional $2.5 million grant came from Autism Speaks. Like MARBLES and CHARGE, the purpose of the EARLI study was to investigate the potential causes of autism by collecting environmental and biological data on 1000 mothers and their children with an Autism Spectrum Disorder (ASD) diagnosis to determine possible risk factors and biological indicators for autism during the prenatal, neonatal, and early postnatal periods. NIH researchers collected samples identical to MARBLES during the mother’s pregnancy and, postnatally, from mothers, their child with an ASD, and the baby born during the study. The NIH team also gathered data from the child’s medical records for 3 years after birth. EARLI was one of the only studies to include vaccination histories. The study had enrolled approximately 300 mothers after 2 ½ years when funding was suddenly discontinued. The three actual studies produced from EARLI samples looked at cord blood androgens, hormones in meconium and paternal sperm DNA methylation. We are not aware of any efforts to look at the vaccine data. Once again, all that effort and treasure has not produced usable results. The Centers for Disease Control and Prevention (CDC) began the Study to Explore Early Development (SEED) in 2009. The CDC touted SEED as one of the largest epidemiologic investigations of multiple genetic and environmental risk factors and causal pathways contributing to different ASD phenotypes. SEED promised to compare children aged 2-5 years with an autism spectrum disorder (ASD), to children from the general population and children with non-ASD developmental problems through parent-completed questionnaires, interviews, clinical evaluations, biospecimen sampling, and medical record abstraction with a focus on the prenatal and early postnatal periods. Researchers enrolled over 5,000 children in the study during two earlier phases. In 2016 the CDC announced an additional $27 million in funding to add a Phase 3 to SEED that will continue to enroll children until 2021. Altogether, SEED will enroll over 7,000 children. To date, eight years into the study, we know of 5 published papers based on SEED, none of which tests any hypothesis about autism causation. Congress authorized the NIH to create the National Children’s Study (NCS) under the Children’s Health Act of 2000. Congress charged the NIH to study environmental influences on child health and development. The NCS was to be a large-scale, long-term study of 100,000 U.S. children from birth to age 21 and their parents. The NIH began the pilot study in 2009. 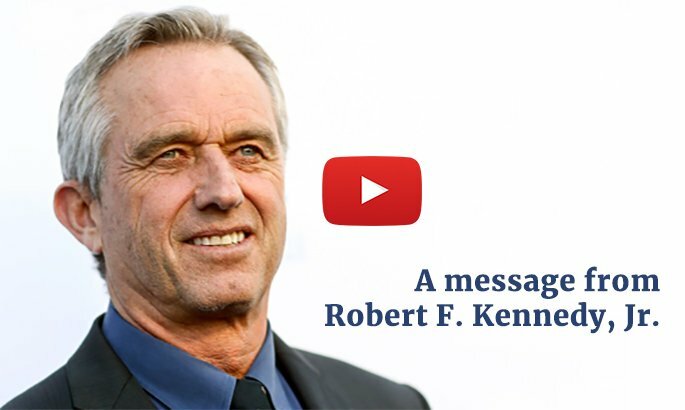 Shortly after its inception, its Director, Dr. Duane Alexander, Director of the Eunice Kennedy Shriver National Institute of Child Health and Development (NICHD) publicly called for the inclusion of vaccines as a covariate in the study. Shortly after this statement, Alexander transferred out of NICHD to an advisory position within the NIH. By the time recruitment suddenly ended in July 2014, the study had enrolled only 5000 children in 40 locations. Of the 54 citations related to the NCS in PubMed, only seven studies actually attempted to investigate children’s health. The other 47 describe the design, sample collection methods, recruitment methods, and challenges of doing the study. A debilitating lack of coordination and huge cost overruns dogged the NCS from its inception. The NCS samples are housed at NICHD. NIH announced its launch of the Environmental Influences on Child Health Outcomes (ECHO) study in late 2016. NIH press releases reported that the NIH would spend $157 million on the seven-year initiative. ECHO will investigate how exposures to a range of environmental factors in early development, from conception through early childhood, influence the health of children and adolescents. NIH’s press release quotes you as saying, “Every baby should have the best opportunity to remain healthy and thrive throughout childhood, ECHO will help us better understand the factors that contribute to optimal health in children.” Your news release explained that “experiences during sensitive developmental windows, including around the time of conception, later in pregnancy, and during infancy and early childhood, can have long-lasting effects on the health of children. These experiences encompass a broad range of exposures, from air pollution and chemicals in our neighborhoods, to societal factors such as stress, to individual behaviors like sleep and diet. They may act through any number of biological processes, for example changes in the expression of genes or development of the immune system.” Oddly, there is no mention of vaccines being a part of the investigation despite the fact that they are administered during these “sensitive developmental windows”, have been found to alter neurodevelopment in animal models and certainly affect expression of genes and the immune system. As you know, the Institute of Medicine (IOM) has repeatedly chided the NIH, the FDA and the CDC for failing to properly study the role of vaccines in this context. ECHO promises to fund large existing pediatric cohorts with a goal of enrolling more than 50,000 children from diverse racial, geographic and socioeconomic backgrounds to conduct research on high-impact pediatric health outcomes. These cohort studies will analyze existing data as well as follow the children over time to address the early environmental origins of ECHO’s health outcome areas. The ECHO health outcome areas are: Upper and lower airway, obesity, pre-, peri-, and postnatal outcomes, and neurodevelopment. While we appreciate ECHO’s ambitious objectives, we are concerned about your glaring omission of vaccine data. We also worry that this is yet another long-term study that NIH will start and not follow through with. From the publicly available data, we estimate that the above-mentioned studies have or will cost the American taxpayer hundreds of millions of dollars. We do not believe that yet another study of this type is the most direct route to fast answers our country needs about the causes of America’s devastating chronic disease epidemics. As we stated during our meeting, we are requesting access to specific existing databases pertaining to vaccines and vaccine safety. These include the Vaccine Safety Datalink which houses the vaccine and health records of ten million children. As you know from the information provided by me and your own information searches, the CDC has made it extraordinarily difficult to conduct valid independent research in this data base. Rather than duplicating previous efforts, we ask you use your clear authority as the statutory Chairman of the Interagency Task Force on Safer Childhood Vaccines to open up the VSD and to make available, to independent qualified scientists and the world’s leading machine data analysis experts, the existing biological samples, questionnaires and medical records from previous longitudinal studies to investigate whether vaccines are associated with the epidemic of health disorders plaguing our children today. We are also requesting that you allow Google’s medical records division, Verily, to automate the pathetic Vaccine Adverse Events Reporting System (VAERS) which now captures fewer than 1% of vaccine injuries. Thank you for considering our requests.